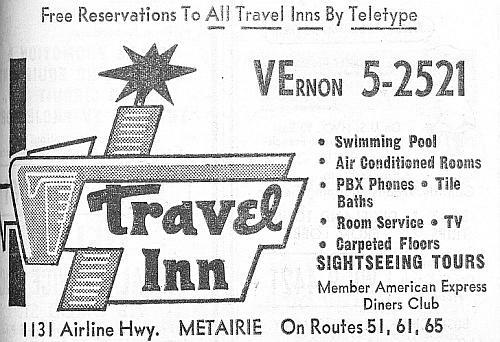 At 1131 the Travel Inn offered many modern amenities during its heyday in the 1960s. 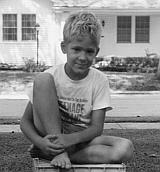 By the late 1980s it had devolved into a seedy hourly-rate motel. It was here, in close proximity to the high-class Metairie Country Club property, in 1988 where Jimmy Swaggart ended his reign as a popular and lucrative tele-evangelist when rival Marvin Gorman arranged for photographs to be taken of him involved in illicit activity. Swaggart confessed, appealed for forgiveness, and was defrocked. The motel has been demolished.